Despite struggles to attract crowds and a lack of blockbuster deals, TV creators left Sundance's first Indie Episodic section far better off than when they arrived. In 2018, everyone knows what happens at a Sundance film premiere. Fervor builds for weeks leading up to the screening. Tickets are a hot commodity. If the movie is well-received, word-of-mouth spreads (or, these days, word-of-Twitter), screenings are added, and the cycle starts over. After all, each film could be the next big sale or even next year’s Oscar favorite — everyone wants to see it. So when Tonya Glanz stared at a half-empty theater following a screening of her series “The Adulterers” and half-jokingly asked, “Are there any buyers in the house?” the subsequent silence seemed like a deafening answer. Part of Sundance’s first-ever Indie Episodic program, which highlighted TV pilots, premieres, and short-form series, “The Adulterers” was one of the best of the fest, but it didn’t generate the same festival frenzy as its film counterparts. Aside from Steve James’ docuseries “America To Me,” there have been no sales in the Indie Episodic section as of yet. With many theaters less than half-full, it would be easy to presume the inaugural TV section failed to meet expectations. But that’s far from the full story. The Sundance Film Festival’s debut program illustrated the challenges associated with selling independent television — and there are many — but it also made a substantial impact for the creators and raised critical awareness for an emergent market. Sundance’s grand experiment in indie TV is similar to the festival’s origins in indie film. 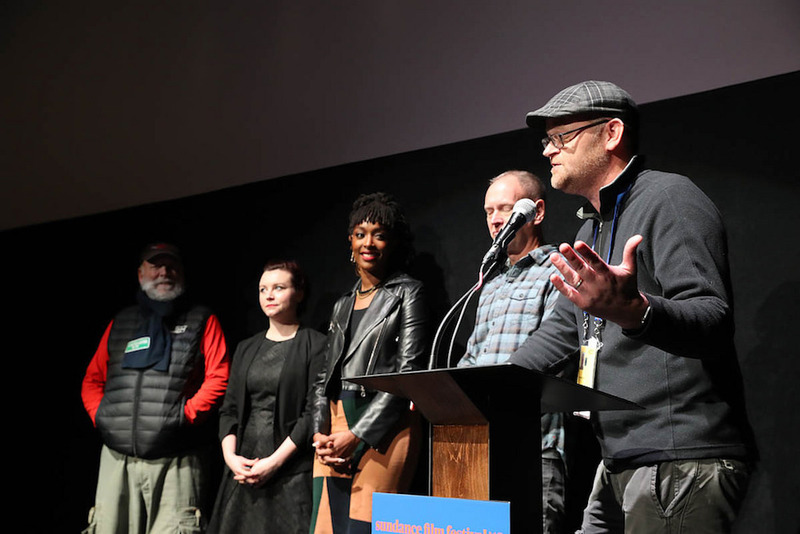 Speaking at the Indie Episodic Launch Party Wednesday night, Sundance Director of Programming Trevor Groth laid out how the festival’s past influenced its future. By that measure, the Episodic Section’s success shouldn’t be judged against the films premiering at Sundance in 2018, but those that premiered 40 years ago. And this year’s batch of series certainly could’ve benefited from Robert Redford shilling tickets. Exposure to anyone at the festival was minimal. If you had a ticket, you could walk right in and have your pick of seats. Even if you didn’t, waitlisted attendees weren’t turned away. Much of the middle section in The Ray, a new 500-seat venue that hosted more than half the Episodic premieres, was reserved for talent and their representation, but attendees of mid-week screenings were invited to come fill those vacant chairs, too. Convincing filmgoers to fit television into their packed schedules has always been difficult. Sundance senior programmer Charlie Sextro said when the festival premiered “O.J. : Made in America” in 2016, less than 200 people were in attendance; compare that to the consistently overrun Eccles Theater, which seats 1270 for buzzy films, or The MARC’s 550-person capacity. Yet “O.J. : Made in America” went on to become a nationwide phenomenon, winning dozens of Best Documentary prizes, including the Oscar. “O.J.’s” success, in part, is because the Sundance brand carries significance far beyond Park City. Many series with distribution have screened at the festival over the years in order to boost their credibility, be it shows from indie filmmakers like Jane Campion’s “Top of the Lake” or adaptations like “The Girlfriend Experience.” These programs wanted the Sundance stamp of approval, and that same currency is even more helpful for indie series. “These creators get to go out there and say, ‘I got to show my work at Sundance’ — that’s huge exposure for them,” Randi Kleiner told IndieWire. As the CEO of SeriesFest, a Colorado-based festival that serves as a global marketplace for indie TV, Kleiner said she’s been coming to Sundance for the past few years. 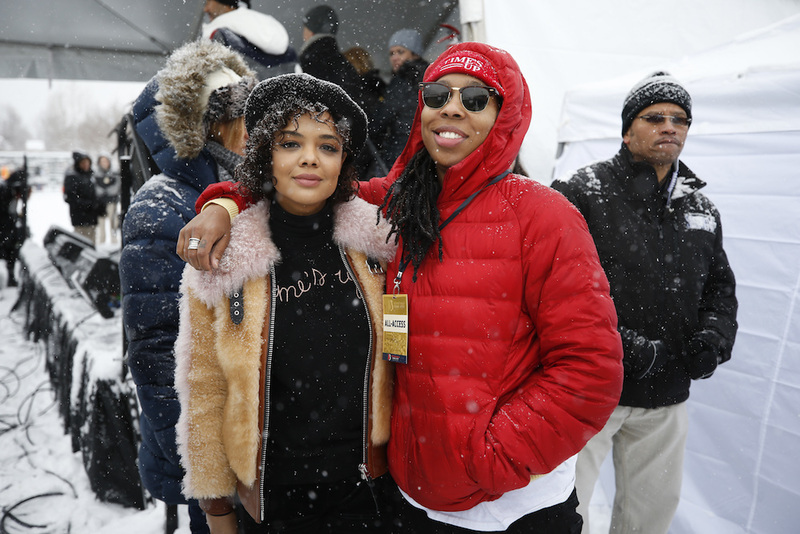 This year, she stayed in Park City specifically to check out the Episodic Section, and said she’s excited about it because of the exposure Sundance offers creators and independent television as a whole. “Will [the Episodic Section] get that audience attraction? It’s the first year they’ve done it. With anything, it takes time to get the word out there,” she said. But the agent also believes “Sundance should be embracing TV more than they have in the past.” Such enthusiasm is just one indication that the market itself is strong. At SeriesFest, Kleiner has seen the demand for independent television really grow in the past two years. “This is so new — the idea of buying and selling episodic content — it’s great [Sundance is] getting into it,” Kleiner said. And audiences may not be as important as they seem — at least, audiences in Park City. 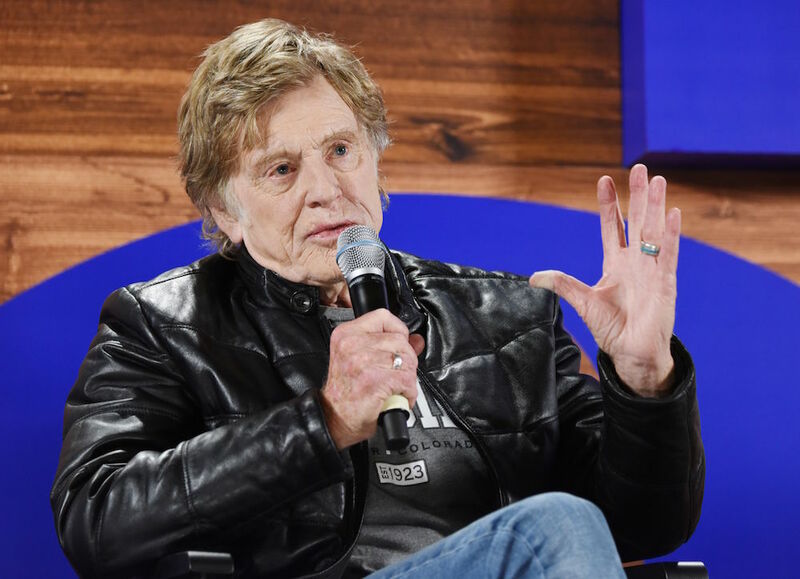 Belfer described Sundance as a megaphone for independent TV and said he’d gotten what he’d hoped to from his time at the 2018 festival. One of the key reasons why indie television is bought and sold differently than indie films comes down to the medium itself. Indie films are selling the final product; indie TV is selling a concept. While a few of the 2018 Episodic entries had completed production on a full season, most were pilots, web series, or short-form series. Buyers at the festival may not take what they see and release it is as-is; five-minute shows could be expanded into a half-hour format, pilots could be re-shot to match a longer vision, or series could otherwise be developed into a final version that fits the distributor’s needs. “SusaneLand,” for instance, screened three-to-five minute vignettes, highlighting its voice and skills more than a definitive model of the show. Creators making independent television are generally open to this idea, and herein lies the true focus of Sundance: the creators. Whether the shows they brought to Sundance earn distribution or not, Belfer argued the benefits for the people working on them is much more immediate. That was already apparent at the festival. At the Episodic Launch party, Lee told IndieWire she and her co-creator, Andrew Olsen, had met a lot of people at the festival, including producers and developers interested in working with them. They’d already set up meetings with people when they return to Los Angeles. Rick Rosenthal, the director and producer of “Halfway There,” said he’d set up a screening in Los Angeles for similar industry insiders who wanted to see the pilot, but couldn’t make it to Sundance. Other creators said they’d been contacted by interested parties even before the festival began. With creators driving the market and the festival in general, future changes will revolve around them. Those people include audience members at the festival, as well as outreach to TV agents, managers, networks, and various other distributors. Sextro wants to gauge reaction from all corners to continue to improve impact. A few early ideas floating around include shifting the screening schedule so the episodic entries don’t compete against each other, and using smaller venues so creators don’t have to look out at empty seats. There’s also a chance Sundance could start the section a day or two earlier, in order to overlap more with the film side’s buzzy first weekend activities. But some crossover already started in 2018. A number of well-established actors and writers who had films at Sundance made their way over to Episodic screenings and were moved by the work. Tessa Thompson (“Sorry to Bother You”), Alia Shawkat (“Search Party”), John Gemberling (“Broad City”), Jon Daly (“I’m Dying Up Here”), and Amy Landecker were all in attendance, and there was one more who really made a difference. Lena Waithe, who spoke at Park City’s Respect Rally on January 20, swung by the premiere of Chris Roberti and Tonya Glanz’s “The Adulterers.” After the screening, she sought out Glanz to tell her how much she liked her series and that she thought Glanz was a terrific writer. Recounting the story at the Indie Episodic Launch party, Glanz wiped tears from her eyes. It had been a long few days of screenings, interviews, and networking. Glanz said she was a little overwhelmed by the entire experience and was heading back to Los Angeles to take meetings and see where things went from here. Earlier that night, the theater she looked out at was nearly empty. But Glanz — and plenty of her peers — left Sundance thoroughly fulfilled.